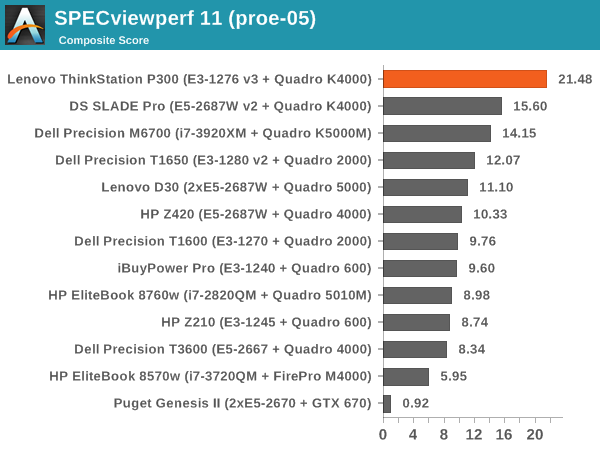 Due to the market positioning of the ThinkStation P300 as an entry level workstation with a Quadro professional graphics card, it makes sense to compare the system with industry-standard benchmarks and the other entry level workstations we have previously tested where possible. 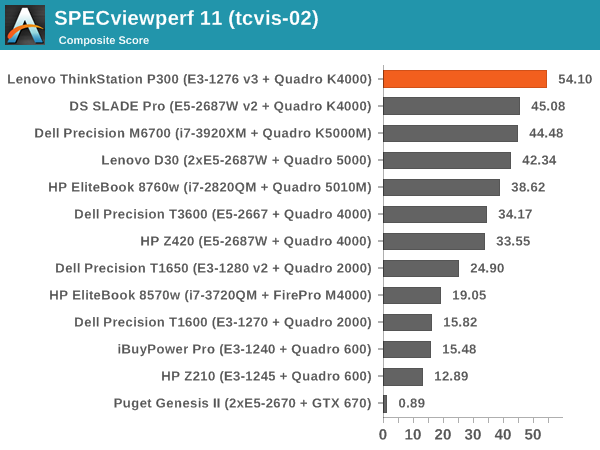 Benchmarks in this instance come from SPECviewPerf 11, a well-known multi-software test, SYSMark from BAPCo that is used by several industries for comparison, and Linux-Bench for some more scientific and synthetic analysis. 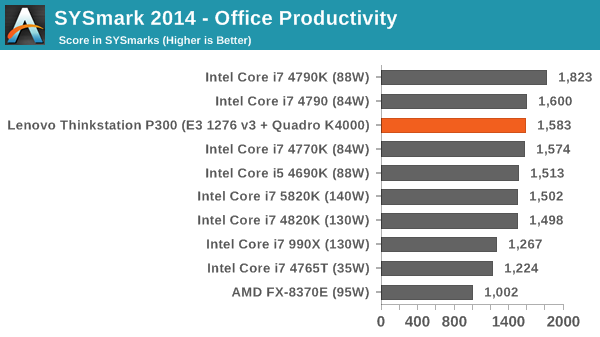 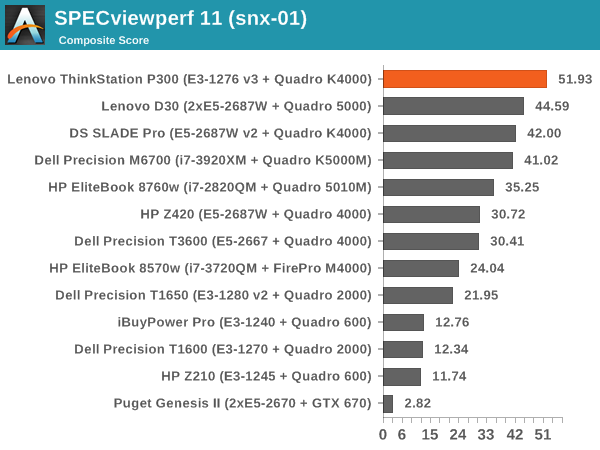 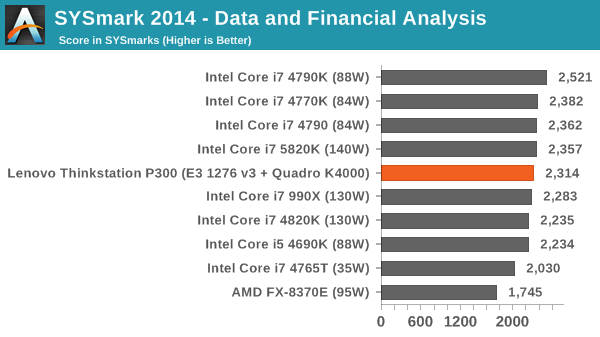 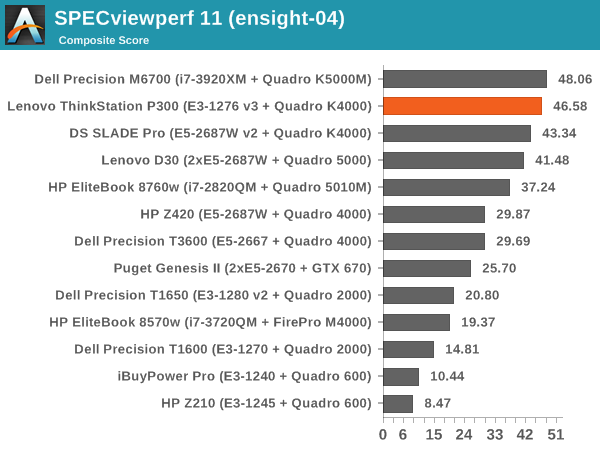 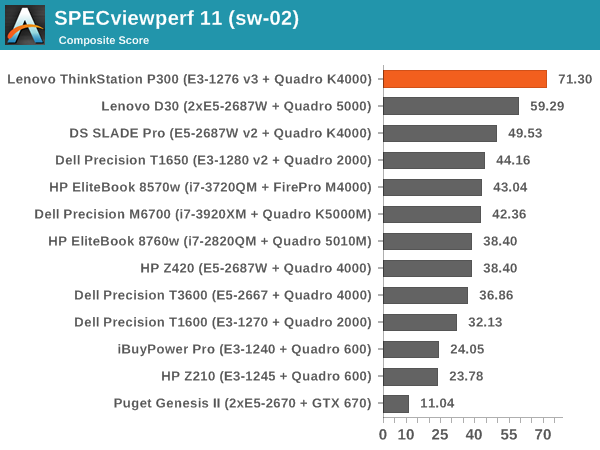 SPECviewperf performance for the P300 is great across the board. 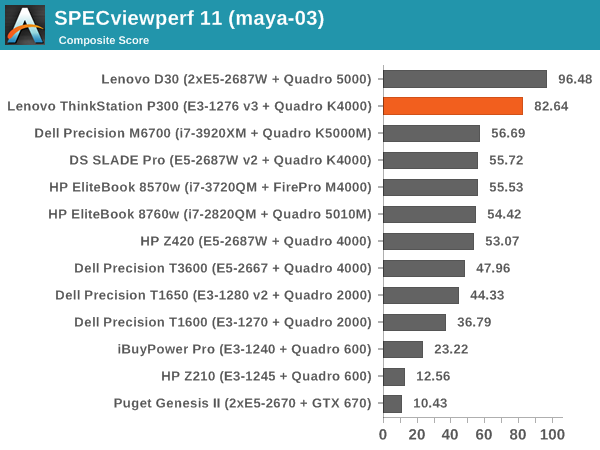 Built around several freely available benchmarks for Linux, Linux-Bench is a project spearheaded by Patrick at ServeTheHome to streamline about a dozen of these tests in a single neat package run via a set of three commands using an Ubuntu 11.04 LiveCD. 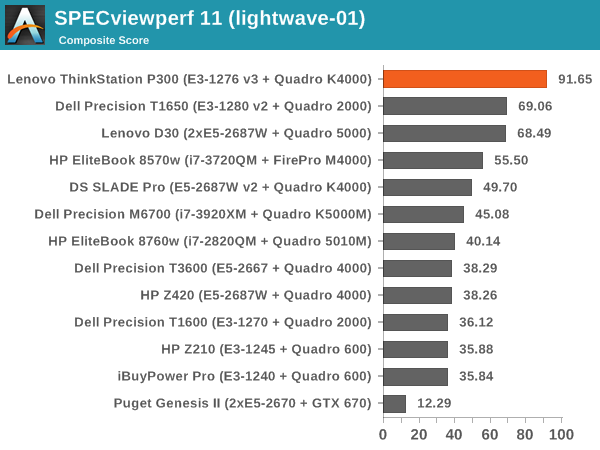 These tests include fluid dynamics used by NASA, ray-tracing, OpenSSL, molecular modeling, and a scalable data structure server for web deployments. 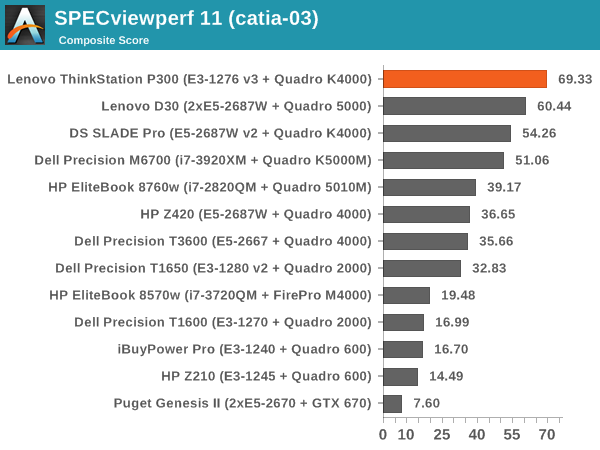 We run Linux-Bench and have chosen to report a select few of the tests that rely on CPU and DRAM speed.